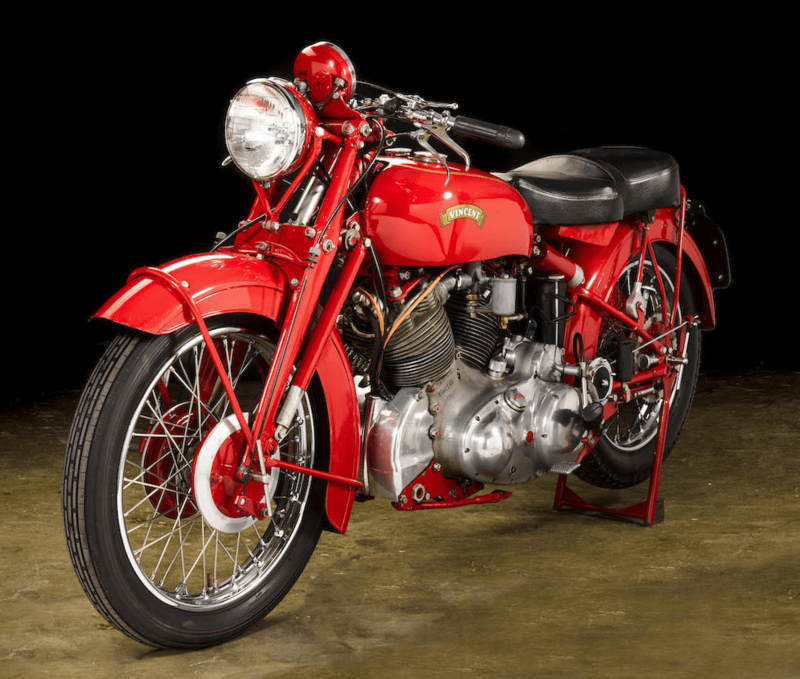 Ever since the Series A’s arrival in 1937, the Vincent v-twin has been synonymous with design innovation, engineering excellence and superlative high performance. 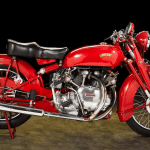 From Rollie Free’s capture of the ‘world’s fastest production motorcycle’ record in 1948 on a tuned Series B Black Shadow to the final fully enclosed Black Knight and Black Prince, Philip Vincent’s stress on appearance and performance is legendary. 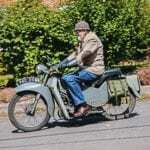 His machines bristled with innovative features: adjustable brake pedal, footrests, seat height and gear-change lever. 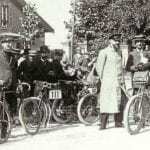 The finish was to a very high standard commensurate with the cost of the machine, which was virtually double that of any of its contemporaries. 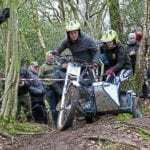 But above all else it was the v-twin’s stupendous performance that captivated motorcyclists, whether they could afford one or not. 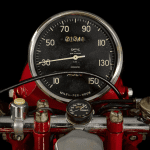 With a top speed approaching 120mph, and bettering it in the Black Shadow’s case, the Vincent v-twin was the fastest road vehicle of its day. 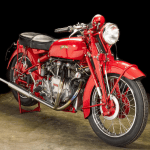 The outbreak of WW2 in 1939 brought production of all Series A models to a halt, and when Vincent resumed production at the war’s end it was with the all-new Series B. 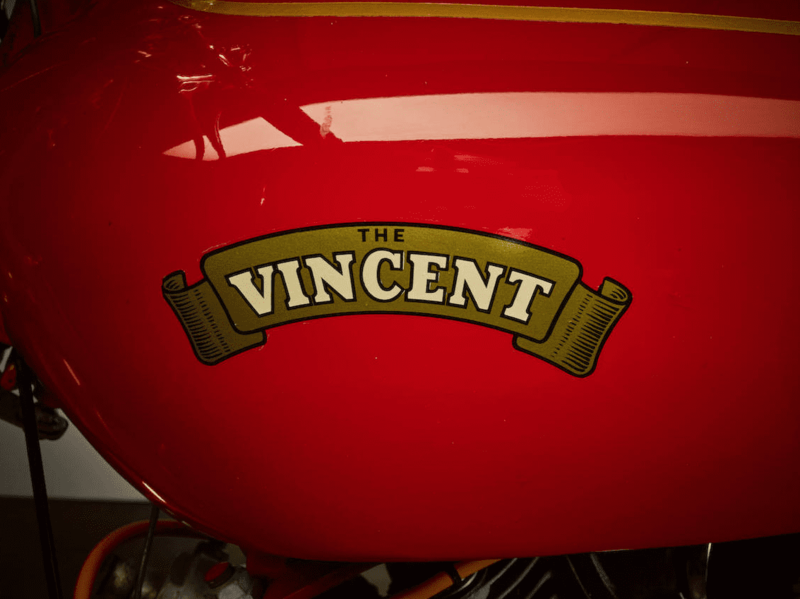 Its rear suspension aside, the Series A Vincent-HRD had been conventional enough: tubular steel frame, girder forks, separate gearbox, etc. 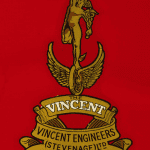 but with the Series B Messrs. Vincent and Irving effectively established the marque’s reputation for the defiance of convention in the pursuit of engineering excellence. 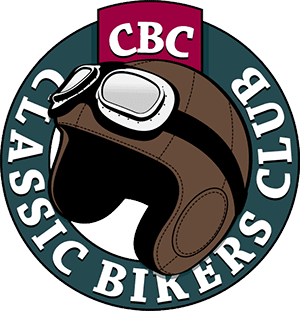 For a start there was no ‘frame’ as such, merely a fabricated box attached to the cylinder heads, that served as the oil tank and incorporated the headstock and the attachment point for the rear springs. 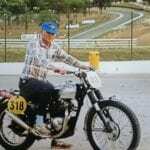 The gearbox was integral with the engine, and the swinging arm pivoted directly in the engine/gearbox casings, features commonplace today but unusual 70 years ago. Only in his retention of the pre-war Brampton girder fork did Phillip Vincent appear to be lagging behind other manufacturers, almost all of which had switched to telescopics, but this apparent shortcoming would soon be addressed by the introduction of the famous ‘Girdraulic’ fork. 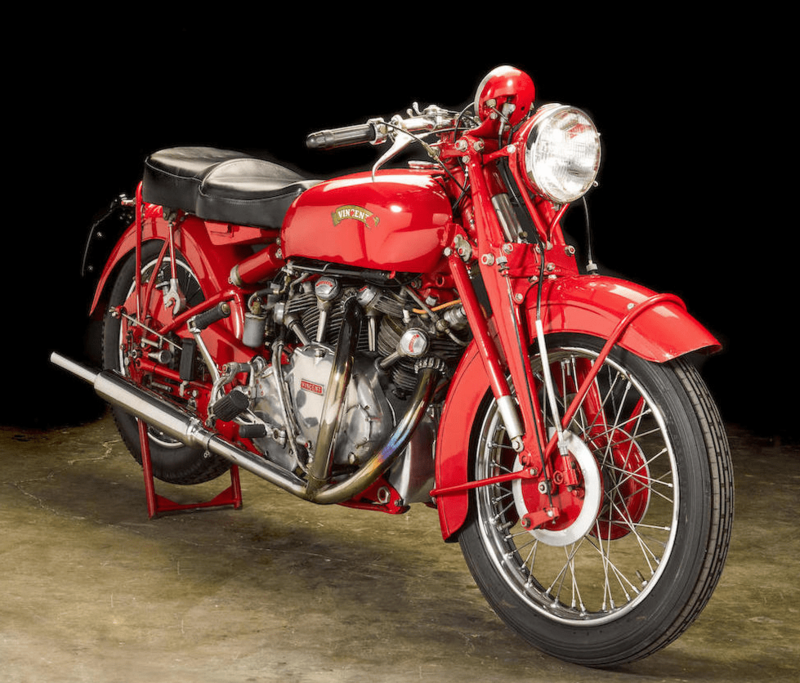 Introduced in 1946, the Vincent-HRD Series-B Rapide was immediately the fastest production motorcycle on sale anywhere, with a top speed of over 110mph. 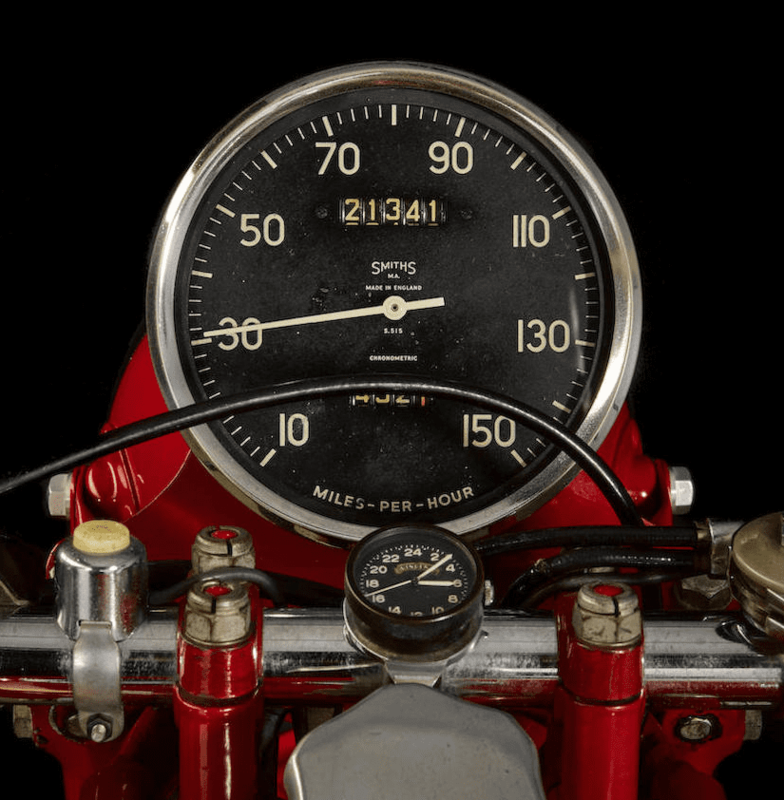 The basic design clearly had even greater potential though, as was demonstrated by the tuned Rapide known as ‘Gunga Din’, ridden by factory tester George Brown, that proved unbeatable in UK motorcycle racing in the late 1940s. The tuned Rapide would be realized later in the form of the Black Shadow and Black Lightning models. 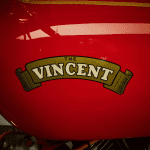 In 1948 the Vincent range began to be updated to Series-C specification. 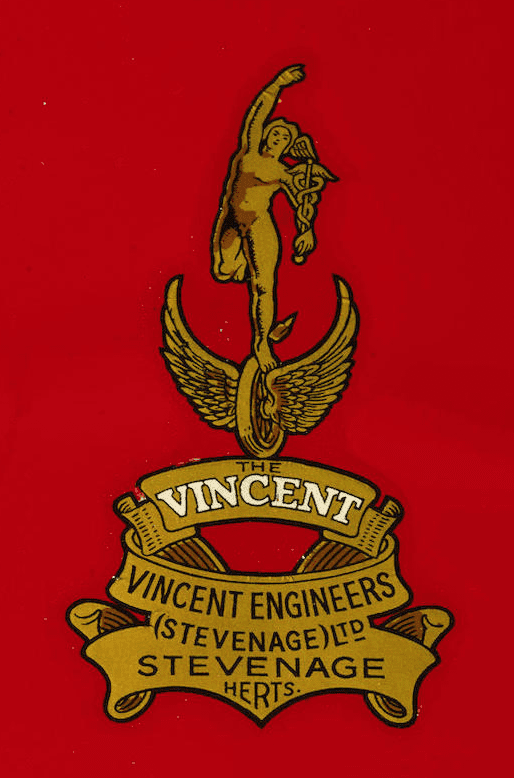 The most significant changes made concerned the suspension, there being a revised arrangement at the rear incorporating curved lugs for the seat stays and an hydraulic damper between the spring boxes, while at the front the new models boasted Vincent’s own aforementioned ‘Girdraulic’ fork: a blade-type girder fitted with twin hydraulic dampers. 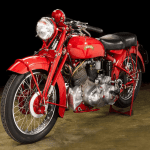 These technological advances and other cosmetic differences began to find their way onto production models during 1948, but it would be 1950 before all Vincents left the factory in Series-C specification. 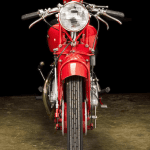 This Red Rapide, complete with Touring fenders, is believed to have been purchased new from Mickey Martin’s Burbank, California shop by Ray Schumacher, a friend of legendary Vincent racer Marty Dickerson. Throughout his interactions over the years with the seller, Marty would talk about how this Rapide went along on his first trip to Bonneville. 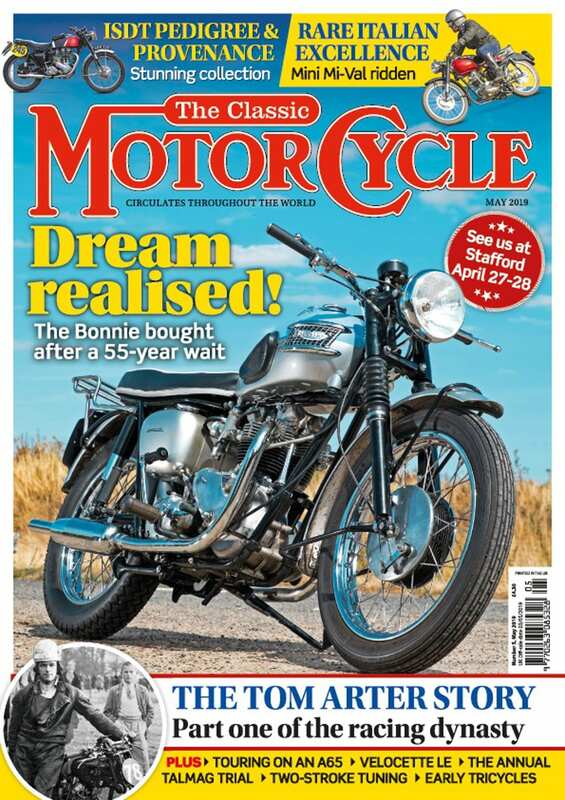 Marty tells the story of how he went out to Bonneville in 1950 to watch, and to assist his friend Rollie Free. 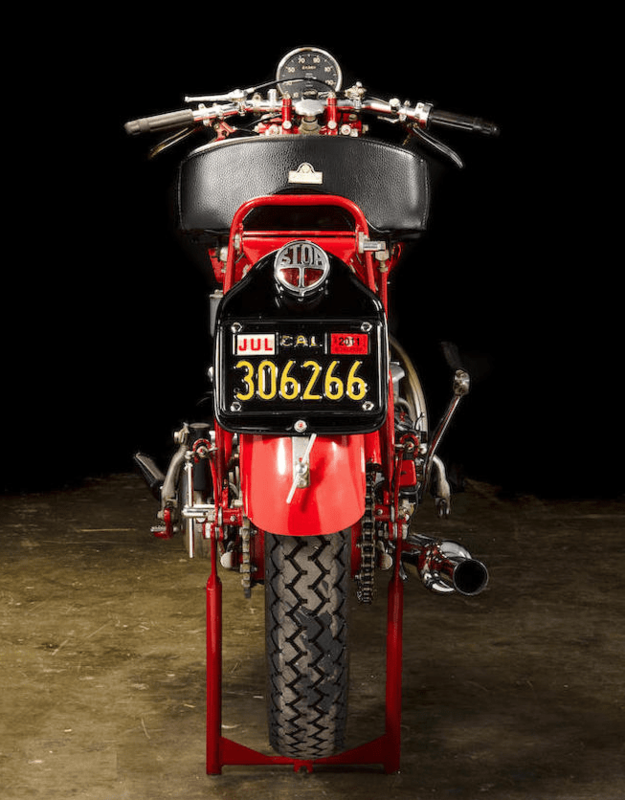 Three riders undertook the 28 – hour journey to the Salt Flats. Marty rode his blue bike, still set up at that time for the street. 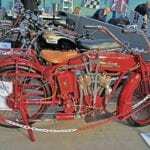 His friend Ray Schumacher rode this Red Rapide, and their acquaintance Don Bishop went along on his 500cc Triumph. Marty said ‘Don was such a very nice guy, but we had to stop all the time because the tiny tank on his Triumph kept running out of gas, so we would pull over and get the hose out to top him off from the tanks of our Vincents.’ As if that wasn’t bad enough, the trip out to Utah became an even greater adventure. ‘Don’s bike got a flat rear tire, too. We gave him a bunch of grief because it was so very cold out there’. 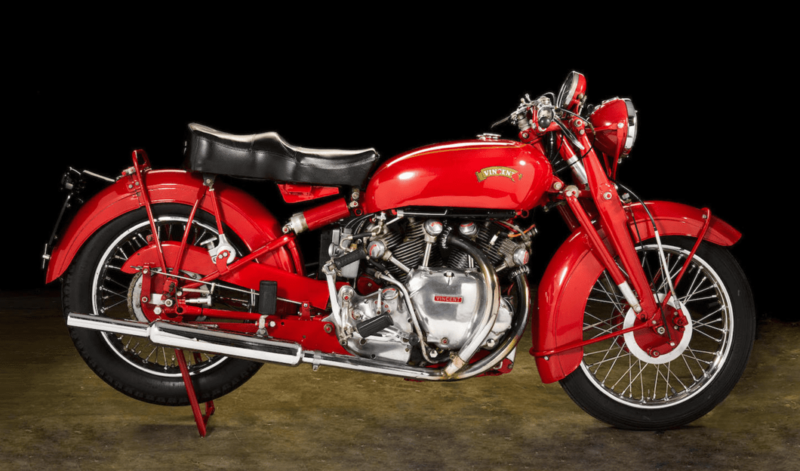 Of the 2,800 plus Vincents produced in 1950, 76 Rapides were finished in Chinese Red. 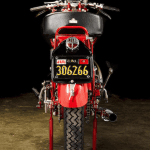 So there’s no question that original Chinese Red machines are extremely rare. 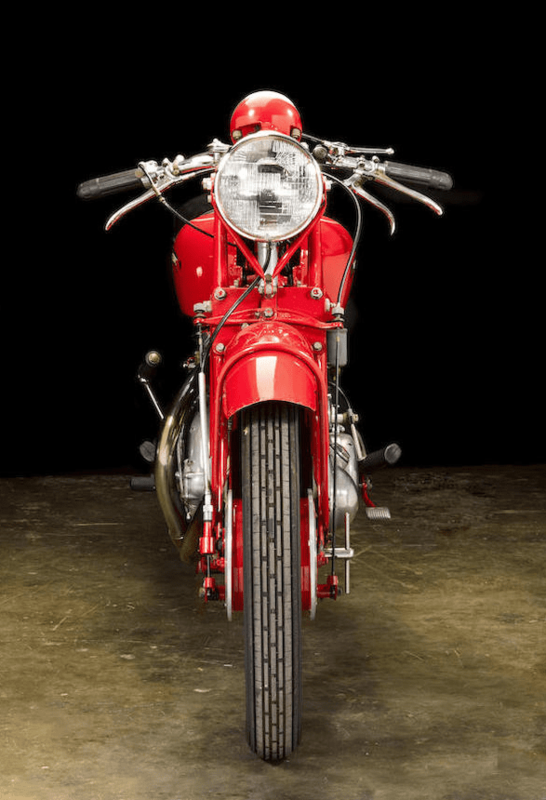 The sale of this original (the tank only was once repainted), well cared for (proper maintenance has been undertaken its whole life), storied example is a gem, likely never to be repeated. As with all Lots in the Sale, this Lot is sold ‘as is/where is’ and Bidders must satisfy themselves as to the provenance, condition, age, completeness and originality prior to bidding.